The 3.5 lb Series 1 Meister Tripod from Photo Clam, with its load capacity of 77.2 lb and its carbon fiber-constructed legs, makes for a strong and durable tripod. The eight layers of Ultra High Modulus (UHM) carbon tubes that make up the 5-section legs absorb and minimize any type of vibrations during a long exposure with your camera. The leg's twist leg locks open with a quarter turn that enables you to extend the legs along with the rapid center column to a maximum height of 63". The CCS locking system ensures that the column does not move while fully extended. 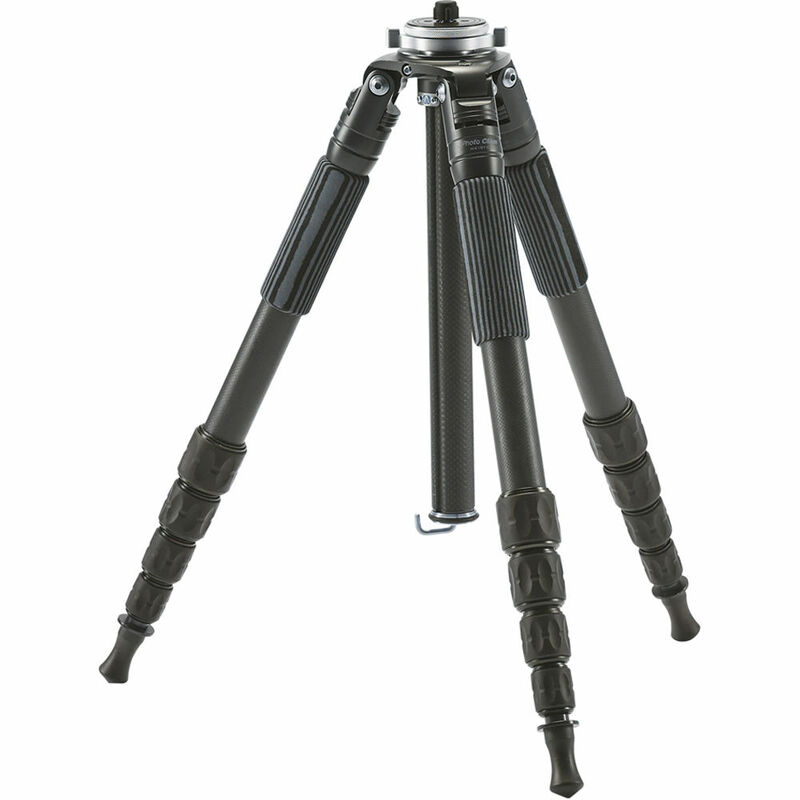 With the tripod's three variable leg angles and its independent leg spread, the support can drop to a minimum height of 2.9" and fold to a length of 19.1" for storage or during transportation. The rubber feet, which prevent the tripod from sliding on smooth surfaces, can be removed to reveal spiked feet that help you to secure the tripod onto different types of terrain.